The final "sign off" Masterblaster rough water slalom fins have arrived along with the first Slalom sample. Hot or what!. 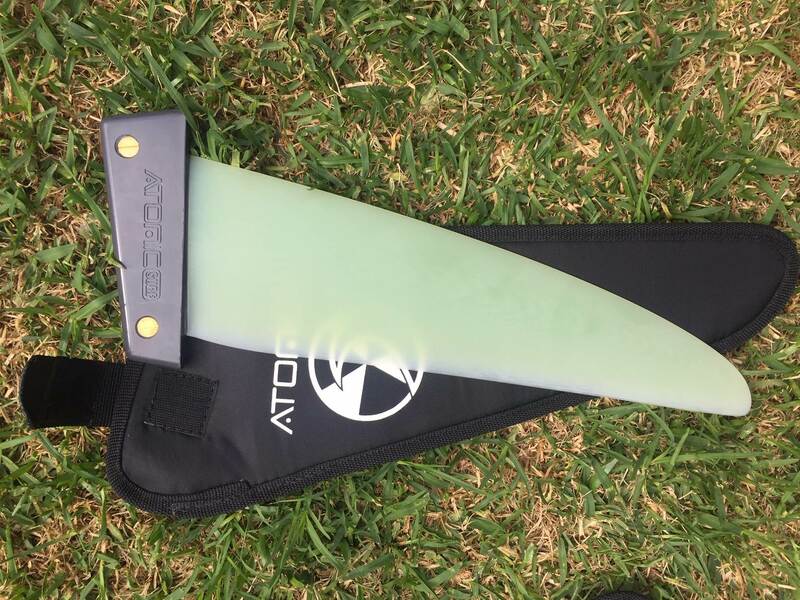 The Masterblaster fin is proving to be powerful and fast and has really good grip in rough, messy water. 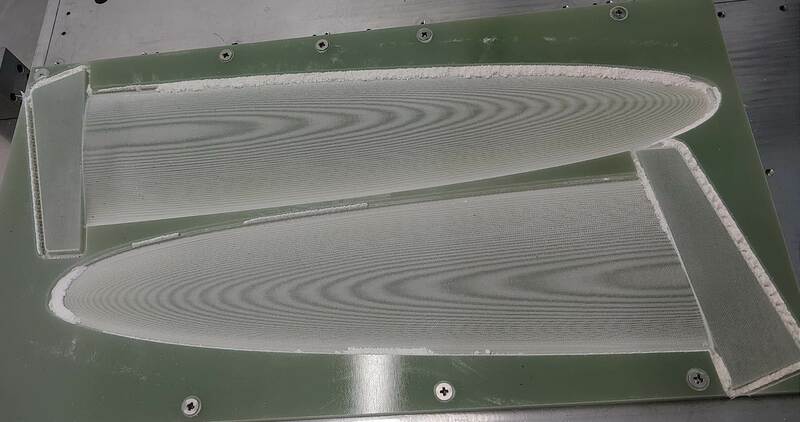 It,s now production ready along with the Wave fins , lots of testing to go on the slalom yet, that will be available first half of next year. Nice looking fin! Would you say this is a solid stiff heavy back foot sailor type fin? Is this something you are doing on your own or with Tribal? Where does it sit along side the Power Max? This one looks like it might have extra sweep/angle? I guess the design brief would be similar to the Powermax, effectively a slalom fin that will behave in rough messy water...also powerful so you can go down a size. It will take a heavy back foot as it has a powerful foil section and is quite stiff. Built superbly by the Tribal crew in the Netherlands but these are designed by me...the Tribals designed by Chris. I used both the Masterblaster 38 and 32 freerace fins in the last 2 sessions...awesome, they work just great. Really fast and super slippery without nervousness, rock solid. 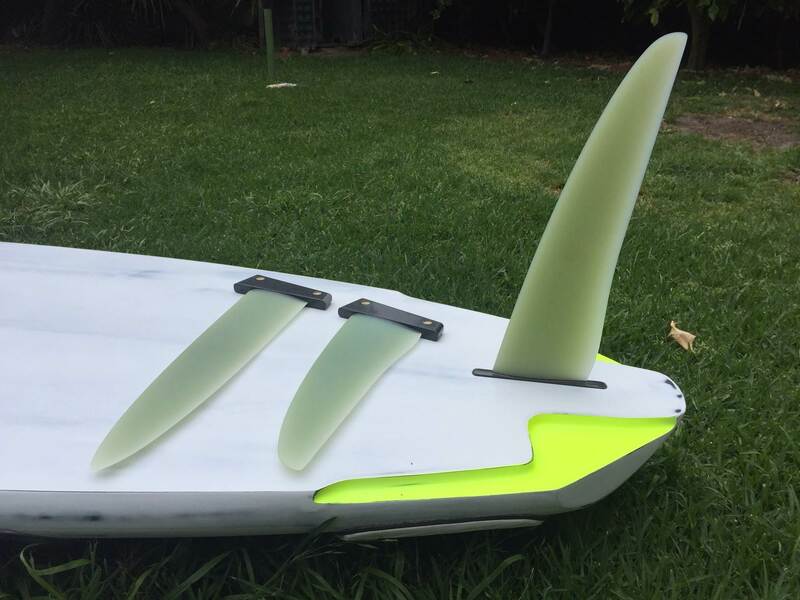 Excellent fins as good as anything I have used. 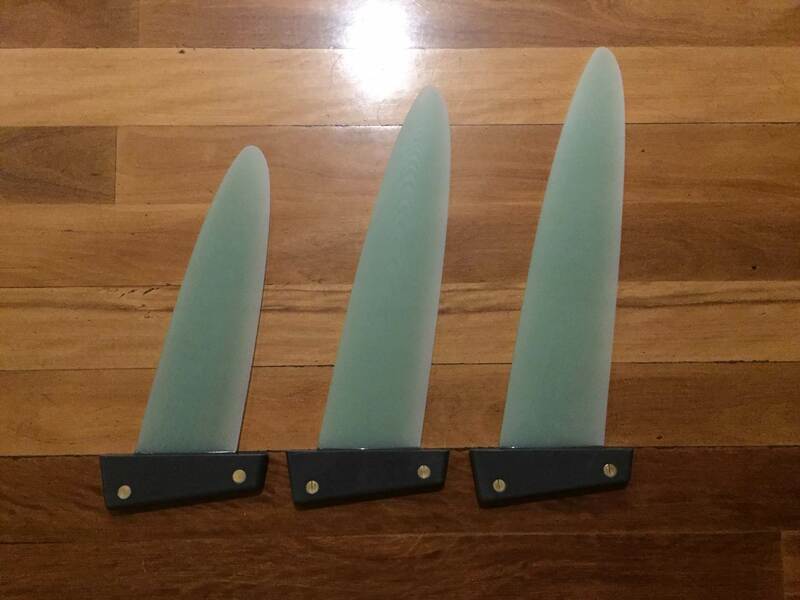 I am going to get a production order together in the next few weeks so if you are interested in a fin give me a yell and I will get it included. Details are on my Atomicsurf website. I also used the elliptical Slalom 42 prototype and was extremely happy with that, very promising. I have made a few tweaks and another 3 prototypes are being built so i am pretty excited about testing these. I am having a lot of fun with this project . Version 2 Slalom Fin prototypes are on the machine. effectively a slalom fin that will behave in rough messy water...also powerful so you can go down a size. It will take a heavy back foot as it has a powerful foil section and is quite stiff. Built superbly by the Tribal crew in the Netherlands but these are designed by me...the Tribals designed by Chris. I have finally found time to update the website with the latest fin info including a little slide show movie....take a geek. 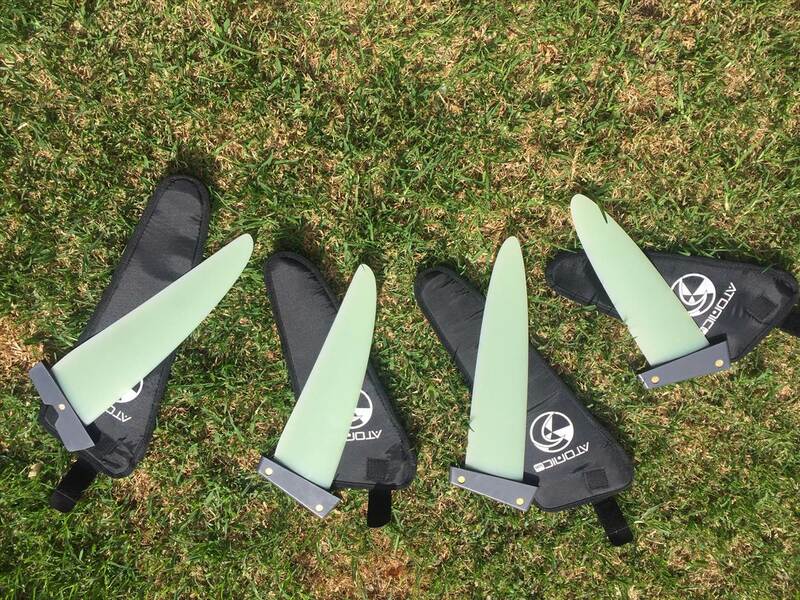 Latest Slalom fins just arrived from the Netherlands. Version 2 Elliptical, slightly wider in the tip and the foil section has been tweaked with the help of Java Foil. Pretty impressive lift to drag figures. Will be testing them soon. What is the reason for the reduced chord at the base on the Masterblaster fins? Could be in my CAD file..need to check. Idea behind the narrower chord in the bottom half is to reduce nose lift but it only worked with a thicker foil section,,,first prototypes were too thin and soft. 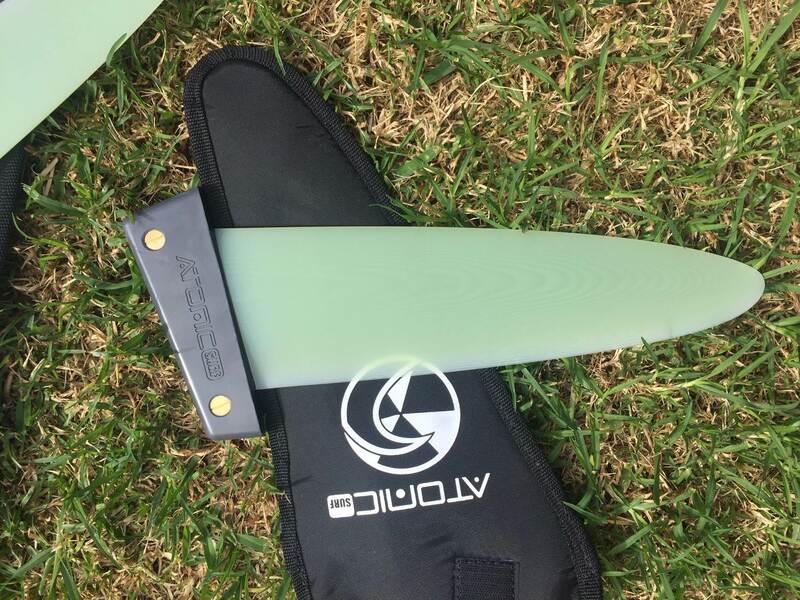 I have been testing them on Port Phillip in the mess and they are working great. Yes..memory jogged and i fixed it after I saw this photo for the first time. Unfortunately due to an MCL tear I am off the water for a bit which really screws up my testing program. So I am after some help to test the Slalom V2 36 and 40 prototypes. Will sail regularly over the next 4 to six weeks. Have some high end fins to benchmark against. If interested in helping me out please IM me.....I will need the fins back when my knee is fixed. Pretty impressive lift to drag figures. Hard to find real numbers for a windsurfing fin's lift to drag anywhere on the www. You're not keeping them secret are you? For the record I have sent Ian the Polar graphs....I do not want to post them here as I don't have the time or energy for the inevitable arguments over the numbers. If you are truly interested IM me and I an happy to share. Some testing of the elliptical slalom fins has been happening here on Port Phillip, so in choppy water. Very encouraging so far. Feedback has been that they have a large sweet spot, turn on straight away and don't become unmanageable when overpowered. Very spin out resistant and forgiving. Upwind is excellent. So we are meeting the design brief so far. Some flatter water needed now to really explore the top end speed so hopefully we will get some Sandy Point sessions in soon. Martin start getting into Speed Weed fins seeing that's where everyone is sailing nowdays. Yep it appears so. Not everybody sails in weedy places though. First production fins have turned up...nice.